The real estate market provides some of the really alluring prospects for the investors from various sectors. As obvious as it may sound, there are several options available in the market worldwide, but the fact remains to be that Brampton and even Mississauga has its own ranking in the league which can be hard to defeat. The real estate industry in Brampton is by far one of the most promising and blooming areas in the world. This has allured many agencies and low cost realtor in Brampton and Mississauga to deal with properties there. Dealing in a property is probably the biggest investment that you can make in your life. However, it is very important to hire the most trusted and reliable realtor for any kind of property transaction, who will be able to guide you through the entire transaction and stay by your side to make your deal a smooth sail. Moreover, with the advancement of technology and ease of communication, finding a low commission realtor in Brampton is no big deal in today’s world. 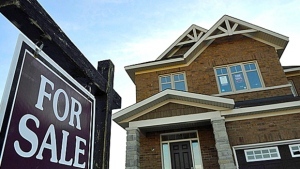 Market Update:- Average Canadian house price hit $401K in January, up 3.1% in past year.